Hannibal has returned for an all new season of messed up killings, an innocent man on death row and a human eating serial killer with a big appetite. 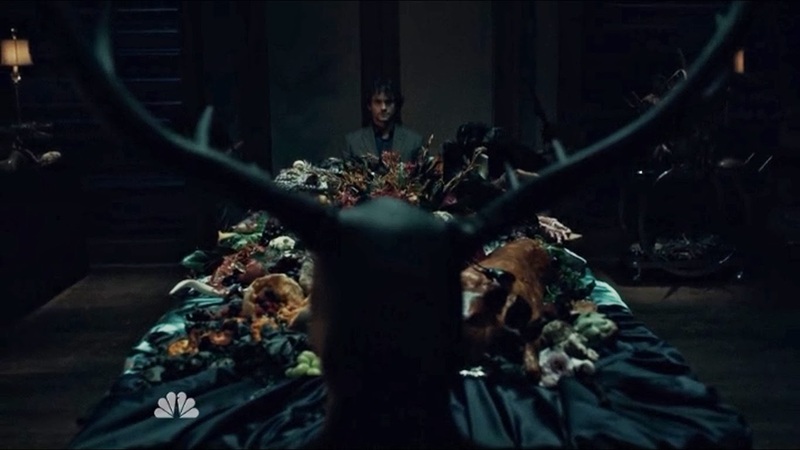 Here's this week's review on the first episode of season 2, Hannibal. Warning: Viewer Discretion is Advised...for vegetarians. Bon appétit! The introduction is one that will leave you wide eyed and wondering what will happen next and how this came to happen in the first place. Let's just say things get heated in Hannibal's kitchen, and I don't mean sexually or in terms of Hannibal's meaty dinner. It gets intense, that's for sure.Time will stop and we're then rewinded back to the present twelve weeks earlier and season two kicks off. A new killer is on the loose, and with Will Graham trapped behind bars, Hannibal replaces him...well, tries to anyway. Jack still isn't convinced that Hannibal is indeed the killer and that Will will never remember and confess to the murders he is accused of committing. 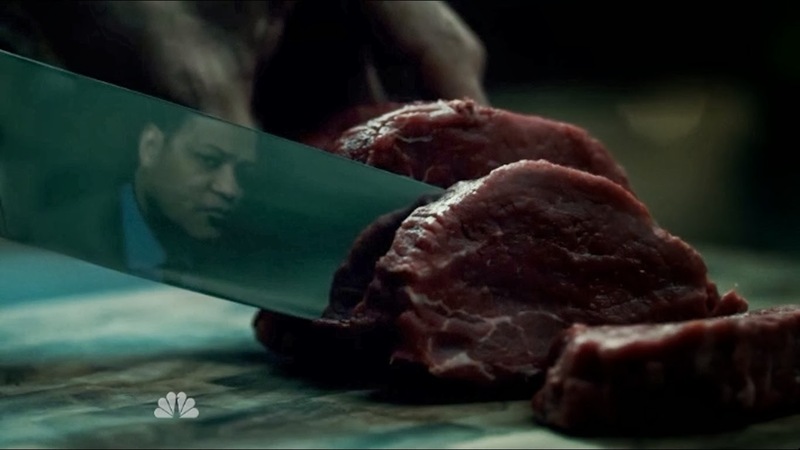 As for Hannibal, he is still cooking up some delicious God-knows-what meals that no one ever stops to look at and wonder what the hell they are about to eat. He also didn't mumble as much like he usually does which was good. Hopefully we won't need subtitles after all. This season looks to be a great one filled with action, insanity, awesome and creative scenes, blood and, of course, guts! Move over Gordon Ramsay, Hannibal's Kitchen is back!